Have you heard about the Tiny Leader format? It seems to be taking Kansas by storm. Seems like all the shops around here has started to support this new format. 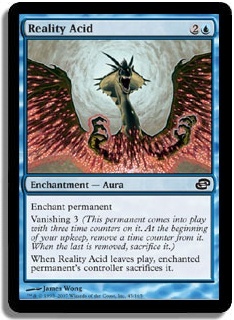 It seems cool to me, all the perks of commander or EDH as us old guys might call it, with out a lot of the BS that i don’t love of the older format. I have been working on some lists or at least conceptual ideas that i might form in to actual decks. And i want to share one with you all today. So many years ago i was just ending one of my long breaks from Magic and i was getting back in to Magic and one of my favorite sets just hit, Mirrodin. Disciple + Ravager and a ton of disposable income artifacts often destroyed people in the way back. 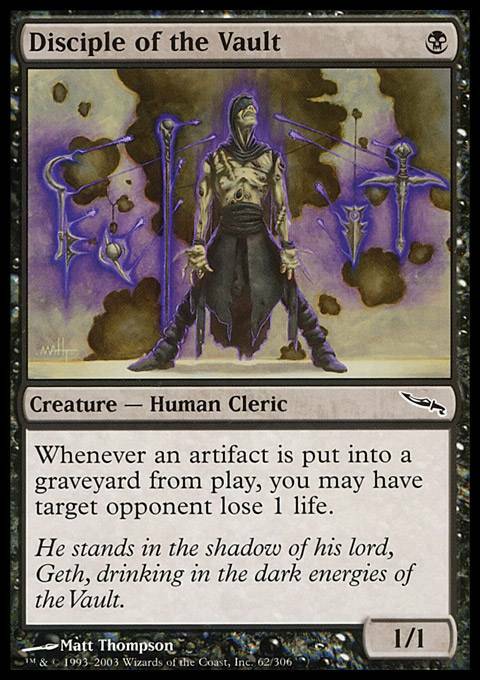 So if we have a ton of cheep artifacts and artifact men like Arcbound Work, Steel Wall, and some older guys like Phyrexian Walker, Shifting Wall. Fun draw card spells like the different baubles, Chromatic Star/Sphere/Terrarion just for the hell of it. But if you start down the path of free or super cheep spells wouldn’t it be nice to do some thing like add a storm element? Grapeshot or Brain Freeze action could worked in with ease. Add in Ashnod’s Altar, Culling the weak, Dark ritual along side Cloud of Faeries/Frantic Search to fuel draw X spells and you might have a real mill sub-theme going on here. Just don’t forget your Glimpse the Unthinkable! Adding in blue is worth wild any way as there are some great little monsters to help with this theme, like Master of Etherium, Tidehollow Strix Skill Borrower, Trinket Mage and Sygg, River Cutthroat and you are real close to your 32 ish non land cards. I don’t know how well it will work yet. But i will be trying to put this thing together in the coming weeks. When i get it finished and get a few games under my belt i will let you know how it goes. Well once again i ended up taking longer to look up and insuring that i spelled all the card names right and it is Tuesday…. Oh well i am not changing the name now.